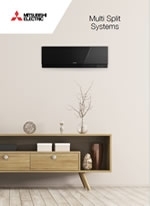 Whether it's consistent cooling and heating for the home or office, Mitsubishi Electric offers you state-of-the art technology that is quiet, simple to use, reliable and above all energy efficient. 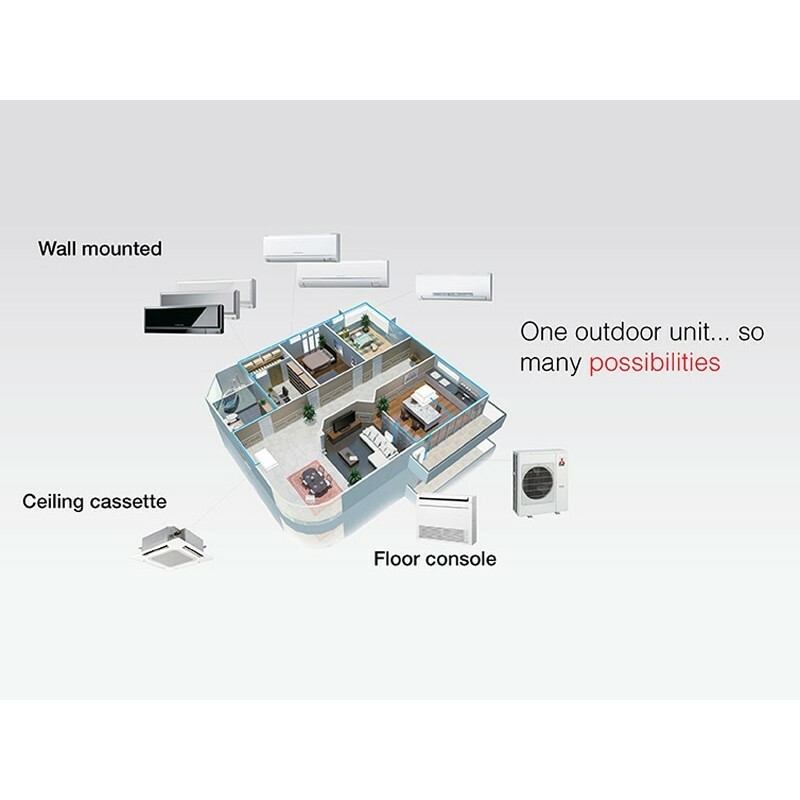 Mitsubishi Electric Inverter Multi-Split Systems fulfill the air conditioning needs of up to 8 rooms with a single outdoor unit. Perfect for apartments and two-storey homes. 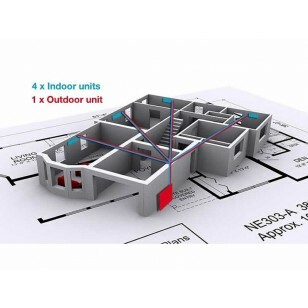 The Mitsubishi Electric Inverter Multi-Split System is designed to allow several indoor units to be connected to a single outdoor unit. 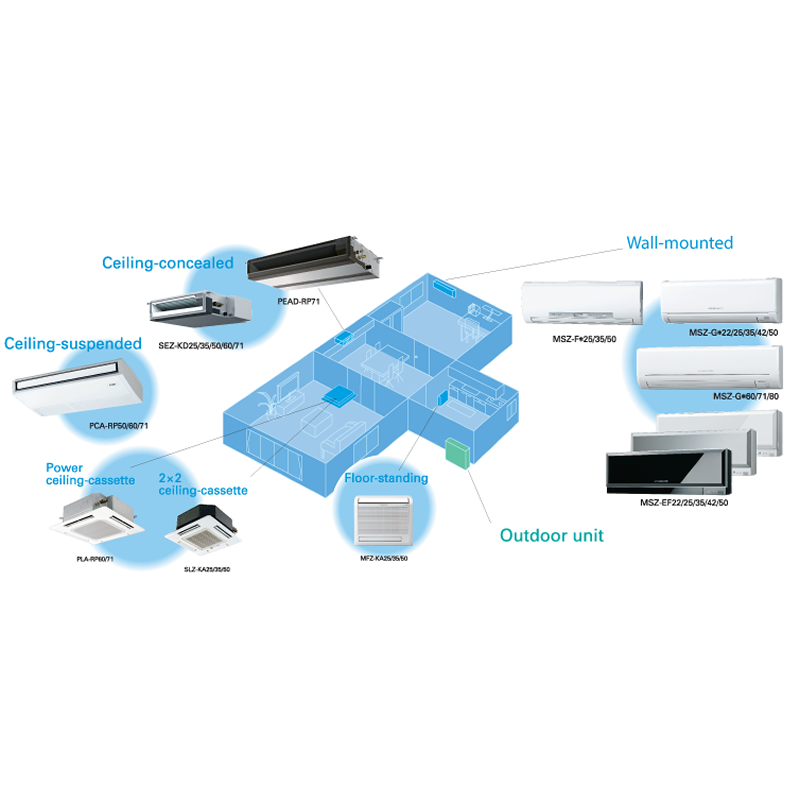 This enhances exterior aesthetics by reducing the number of outdoor units required, while also providing an easy and economical way of adding indoor units at any time. 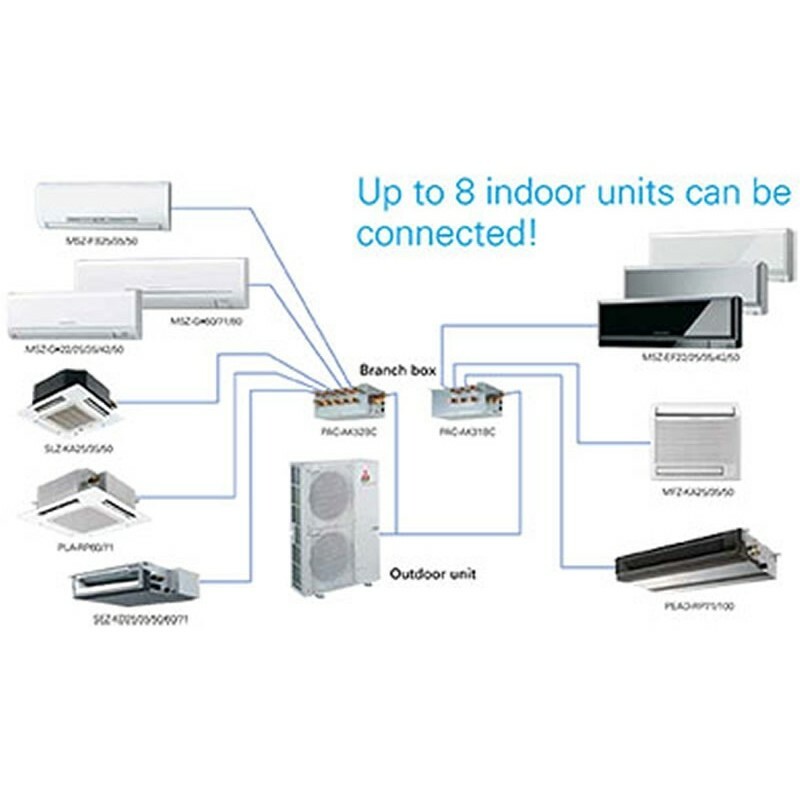 Offering the ability to select up to 8 indoor units for a single outdoor unit, with the cooling capacities of outdoor units ranging from 5.2kW to 15.5kW and an array of different models to suit specific applications. You will be hard pressed to find a better match for your building dimensions and comfort requirements. Comfort without the noise, based on smooth operation and innovative features such as automatic selection of low-noise mode when operation load is low. Choose a wall-mounted model to create a comfortable space where noise levels allow for soothing peace and quiet. Efficient operation is achieved through cooling/heating only the desired space, reducing waste by preventing air conditioning of areas where it's not needed. Using an individual air conditioner for each required space allows for a more economical performance. 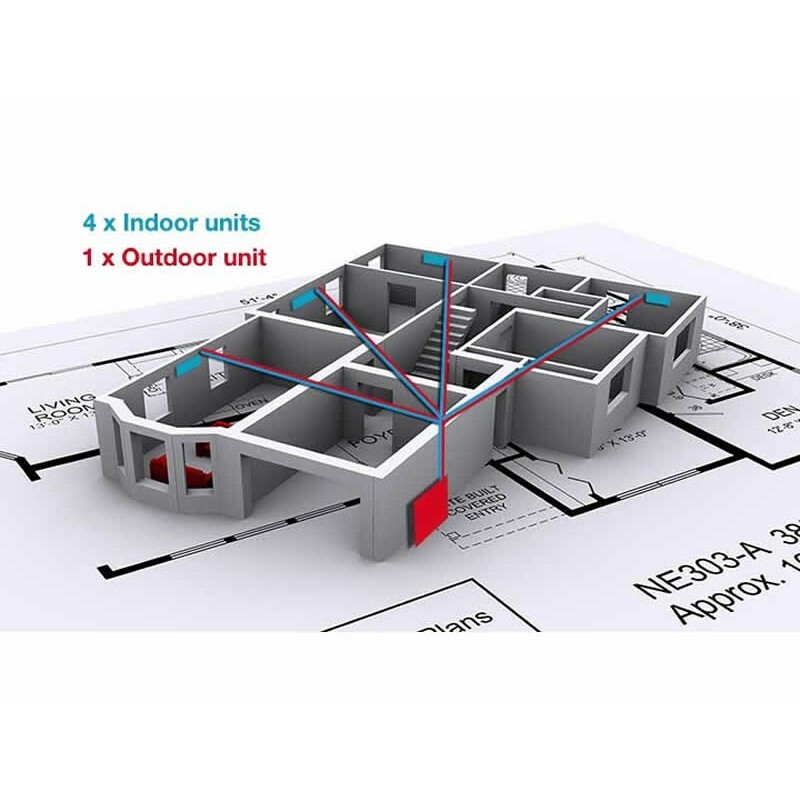 Combining this concept with the latest innovative inverter technologies, we are able to offer industry-leading levels of energy-efficient operation for both heating and cooling.